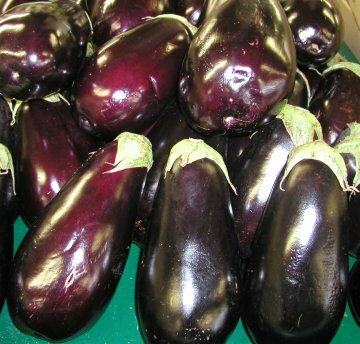 Click here to find out about Eggplant Hints, Tips, and Information. This Fried Eggplant with Molasses Tapa recipe is from Andalucia (southern Spain). 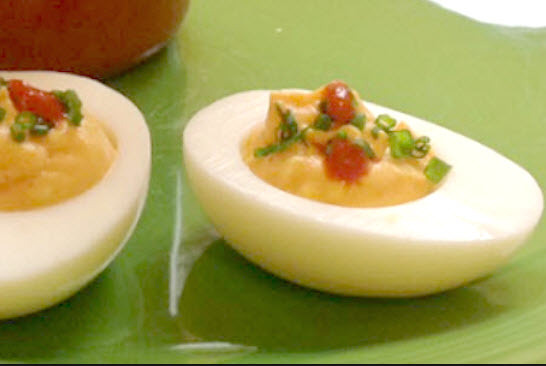 The combination of savory and sweet in this tapa recipe is sensational! Molasses in Spanish is called melaza, or sometimes miel (which is honey). This recipe traditionally uses Miel de Cana, or literally “sugar cane honey,” and is very typical of the regions of Granada and Malaga, where this recipe originated. A very easy and delicious way to prepare and serve eggplant. This is a very tasty eggplant dish that even non-eggplant eaters seem to enjoy! It’s very hard to describe the wonderful taste of this dish. Try it – you’ll like it. What a delightful and healthy dish this is, with a bit of Turkish flair, very colorful, and a good way to use the bounty from your garden.